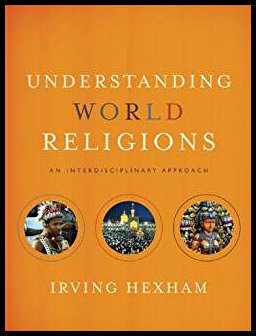 The purpose of this website is to introduce and supplement Irving Hexham's textbook Understanding World Religions (UWR). It was written to help students and others gain a basic knowledge of the major world religions and was published by Zondervan (2011). The website has three main sections containing opan source books that can be downloaded as free pdf files. 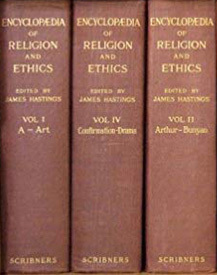 The first, this one, introduces the book and the academic study of religion. The second, discusses specific world religions, atheism and worldviews. The third, assumes that most North Americal readers are from cultural backgrounds shaped by Christianity. Therefore it provides gain an understanding of Christian history and beliefs as a background to the study of other religions. 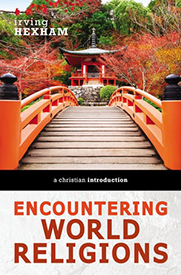 Encountring World Religions will be published by Zondervan of Grand Rapids at the end of May (2019). It provides a Christian response to other world religions. 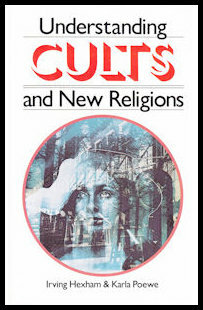 Download a free copy of Irving Hexham and Karla Poewe's Understanding Cults and New Religions on cults and new religions. 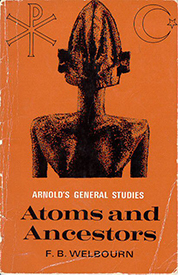 Download a free copy of Fred Welbourn's classic work Atoms and Ancestors which is unuppassed. Permission to use given by Dr. Hebe Welbourn. To find out why UWR was written click here. To read the introduction and first chapter click here. You may also like to read some reviews and endorsements. Syed Abul A'Ala Mawdudi is a well known Muslim writer whose views on Islam are popular among Muslims. His Islamic Way of Life presents a Muslim understanding of Islam. 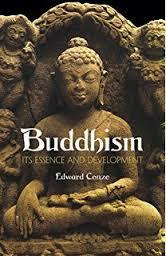 Download a free copy of Edward Conze's Buddhism: Its Essence and Development. 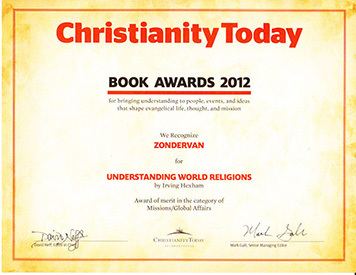 In 2012 Understanding World Religions won a Christianity Today book award. 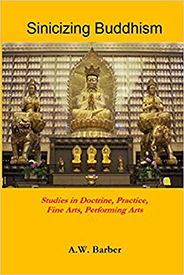 It has also received some excellent reviews and endorsements by leading scholars. 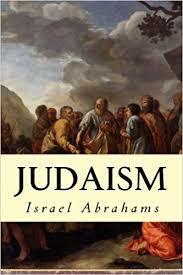 Israel Abrahams' Judaism provides a concise introduction to the Jewish traditon. 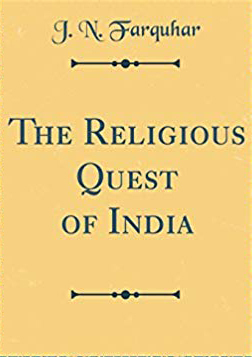 This classic work, The Religious Quest of Indiaby J. N, Farquhar and H. D. Griswold introduces Indian religions to Western readers and remains valuable even today. 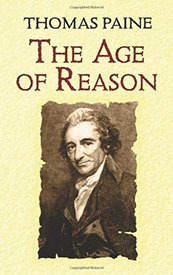 Download a free pdf copy of Tom Paine's The Age of Reason. This is a daunting book, but essential reading for anyone wanting to understand modern unbelief. 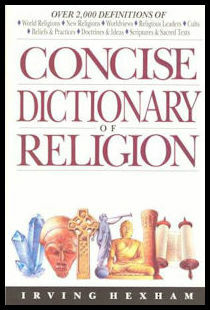 Read some classic academic dictionaries and encyclopedias on world religions.Although older works they contain many articles that remain valuable today. Hear Irving discuss UWR with Canadian radio host Dave Rutherford click here. Watch a short video where Irving discusses the work of Ninian Smart. This website was first created in 2011 as a basic website. It was extensively revised to the extent that it became a new website in 2014. At that time new sections of various world religions, links to classic texts, the sections on worldviews and the extended sections on Christianity were added. 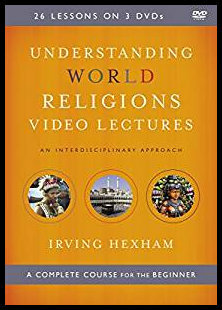 All texts and graphics on Understanding World Religions are protected by copyright, 1995, 199, 2011, 2014.Permission to reproduce material found on this Web Site must be obtained from the appropriate copyright owner. World religions graphic by Christopher Tobias from Irving Hexham's Understanding World Religions, Zondervan, Grand Rapids, Concise Dictionary of Religion, InterVarsity Press, Carol Stream, 1994.